Tip - Bring your poker face. 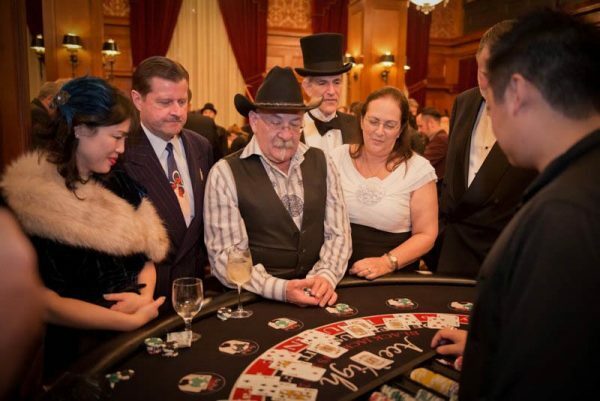 Poker's origins are a matter of debate. One of the earliest known games to incorporate betting, hand rankings, and bluffing was the 15th century German game Pochspiel. 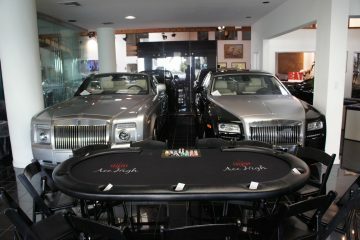 Poker closely resembles the Persian game of As Nas, though there is no specific description of As Nas prior to 1890. 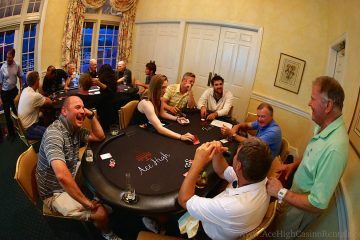 Although there are many different versions of poker, Texas Hold'em has become the game of choice for most poker players. 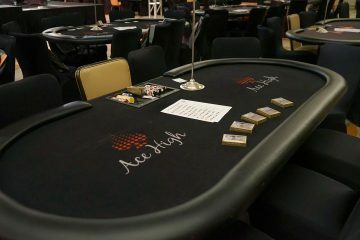 Ace High Casino Rentals did an amazing job. They do this so often I think it was just natural for them to have the event go so smoothly. This was the first time we were doing a charity event for The Thomas House Family Shelter and they helped knock it out of the park.